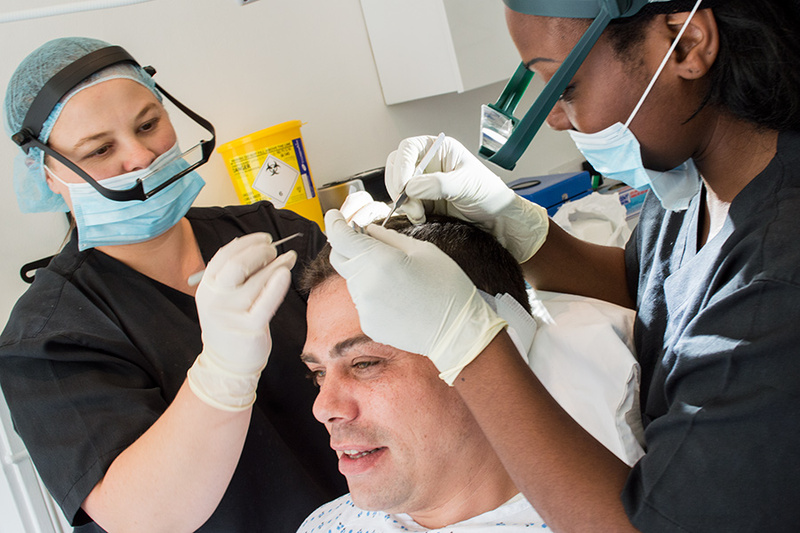 Although the end result of a hair transplant is something to be excited about, there is a lot of thinking that needs to be done beforehand – after all, this is a major operation you’ll be undergoing, and that in itself is not something to be entered into lightly. But there is more than that to think about, and we’ve mentioned just a few considerations you might want to delve further into below. The most popular – the original – form of hair transplant is follicular unit transplantation (FUT, also called the strip method). This involves taking a strip of hair from the donor site, and implanting it into the thinning or balding area. It leaves behind a scar and requires a longer recovery time. An alternative option is follicular unit extraction (FUE), wherein the follicles are removed one at a time and reinserted into a different place. There is little to no scarring and the recovery time is much shorter. Work on the pros and cons of each before committing to one or the other. Skin differs in a number of ways, but when it comes to a hair transplant procedure it is the texture of the skin that makes all the difference. Black skin, for example, has a different texture to Caucasian skin, which means that different tools and techniques will need to be used. It is important to take this into consideration and ensure that the practitioner you choose can work with your skin type. The cost of a hair transplant can be high, especially when there are additional treatments needed. Before you begin, it is wise to do your sums and make sure that you can meet the cost without putting yourself in financial difficulty. The ‘what if’ question often goes unasked, but it is just as important as all the others. The ‘what if’ question relates to the risks associated with the procedure. Find out what they are, and what the clinic’s policy is regarding what happens if something goes wrong. It is a very rare thing, but every surgery has risks, and hair transplantation is no different. You must be prepared to carry out an aftercare regime once your initial procedure has been carried out. It is important as it will aid healing and give you a less noticeable scar, and more realistic look. Find out all the details and be sure that you can stick to the plan before undergoing surgery. If you are considering having a hair transplant, you will most likely have imagined and dreamed of what the final result will look like. Talk these ideas through with your surgeon, and find out whether the look you want is achievable – it isn’t always due to various factors including the type of skin you have and even the shape of your skull. You don’t want to be disappointed when you wake up from surgery, so this is an important discussion to have beforehand. ← Where Is Your Nearest Clinic?